Are you tormented by painful and persistent intrusive thoughts? Are these thoughts usually about your worst fears coming true? Are you unable to dismiss these thoughts, no matter how hard you try? Do these thoughts take up a lot of your time? Do you have to perform certain actions repeatedly, even though you know these actions are excessive or unecessary? Do these actions take up a lot of your time? Are you sometimes unable to feel "done" when you perform these actions? Do you feel an overwhelming sense of doubt about the thoughts and/or actions? Are you unsure if the thoughts are true or if the repetitive actions are complete? 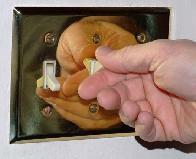 You can get help for OCD. To purchase this e-book, click on the link below. The torment that people with severe OCD experience is brutal; there are no words that can adequately describe this torture. Having severe OCD is like living with a terrorist in your head, one that knows your worst fears intimately and uses that knowledge against you. At its worst, OCD takes whatever you hold most dear and holds it hostage in order to get you to listen to it. Over untold millennia, millions upon millions of lives have been lost to this disorder, either through the symptoms themselves or, very likely, through suicide. It is a malignant and horrific disorder, and no one should have to suffer from it. Hello, my name is Barbara O�Connor and I know what having severe OCD is like because I suffered from this torture for over 25 years. And yes, I can say "suffered from" because I have been virtually OCD-free for over two decades. During that time, eleven other OCD sufferers and I joined together and formed an organization to bring OCD out of the closet. I am proud to say we wildly succeeded. The OCD Foundation, Inc. (OCF), is now widely known as the most reliable source of information on OCD. During my three-year tenure as a founding Board Director of the Foundation, and for over two decades since, I have had the extreme pleasure of helping thousands of fellow sufferers learn how to get relief from OCD. I am starting this website to help you, too. I have written an e-book that contains a lifetime's worth of information about OCD, written from a perspective that few can claim: That of having not only overcoming severe OCD personally, but having had over 20 years of experience helping others do the same. 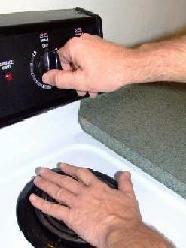 If you have OCD, I know what you are going through. And trust me -- I know all too well how painful it is. The key to getting relief is to learn as much as you can about OCD and how to treat it, and apply this information to yourself with the help of your treatment provider. This e-book will provide you with a good source of that information. Can nutritional approaches help OCD? Quick access --you will be able to start reading your e-book instantly - no waiting days or weeks for your book to be shipped, or wondering where it went if it does not arrive. E-books save you money -- there are no shipping or handling charges - and no extra tax added. Your e-book is printable so you can print it out and read it later. 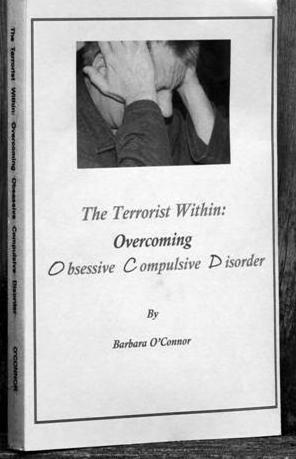 The Terrorist Within: Overcoming OCD is written in a friendly, easy-to-read format. Reading the book is like listening to a good friend who knows what you are going through and understands. Best of all, this good friend also knows how to help. Important Note: WEBTV users cannot open PDF files. But if you are using a computer, all you need is the free Adobe Reader, which you can download free from Adobe.com. Please be sure you have a working Adobe Reader before you buy this book. Barbara O'Connor has written the definitive piece on Obsessive Compulsive Disorder (OCD), the torturous cerebral affliction that has been a major problem in the lives of individuals, families, and the American workforce for countless years. Readers will find O'Connor's writing to be a clear English translation of customary medical language. Obsessive Compulsive Disorder, like so many mental illnesses and psychological miseries, has been misunderstood as well as mysterious. O'Connor explains and exposes the etiologies and treatments for OCD better than the average M.D. All kinds of physicians, psychotherapists and lay persons can learn from her exceptional web site. Read her own personal story for more useful information and bring kleenex as well as your sense of humor. Some of her anecdotal information will go through you like a spear. If you find yourself or your loved one in her words, you will find help there too. Thank you, Barb, for your contribution to mental health and your commitment to alleviating suffering. I had the privilege of meeting Barbara O'Connor ten years ago when I was 42 years old. Up until then no one understood what I was feeling or diagnosed me correctly. She is not only the most knowledgeable person that I have ever talked to or read about in the field of OCD, but more importantly she knows what it is like to suffer with it. 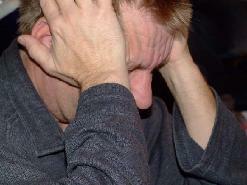 You cannot explain the pain of a headache to someone who has never had one. She knew more than the counselor, the psychiatrist and the M.D. that I sought help from. My M.D. even asked her for advice! The day I met her changed my life forever. I am now 98% OCD-free! Disclaimer: Barbara O�Connor is not a licensed medical doctor, therapist, or medical treatment provider. The material in this e-book and website is provided for educational and informational purposes only. The information in this website and e-book is intended as an educational resource for people with Obsessive Compulsive Disorder (OCD), their families, friends, treatment providers, and anyone else interested in OCD. It is not intended to be, nor is it to be used as, a substitute for consultation and treatment with an appropriate health care provider. Please consult your physician or appropriate health care provider about the applicability of any opinions or recommendations found in this material with respect to your own symptoms or medical conditions. Barbara O�Connor, the author of this website and e-book, shall have neither liability nor responsibility to any person or entity with respect to any loss, damage, or injury caused or alleged to be caused directly or indirectly by the information contained in this website and e-book. Copyright 2006 by Barbara O�Connor. All rights reserved. No material my be published or copied without written consent of the author. Our content is protected by copyright laws, and any unauthorized use of our content is a violation of copyright, trademark law, and intellectual property rights. Any commercial use is strictly prohibited. If you print a copy of any of our information for your personal use, you must include our copyright notice. "Copyright 2006, Barbara O�Connor Online. All rights reserved" on each page printed. About the author: Barbara O'Connor, a lifelong OCD sufferer, was a founding Board member of the OCD Foundation, now based in Connecticut. For years she served as the Foundation's main contact person for OCD victims all over the world. She has traveled coast-to-coast speaking on OCD and been featured on such national TV shows as ''Donahue'', ''AM Los Angeles'' and ''In Person with Maureen O'Boyle'', as well as in various local and national print media such as First magazine for Women. Over the past 20 years she has led many OCD peer support groups, worked individually with OCD victims and their families, and taught seminars and classes on overcoming OCD. For several years she published a newsletter for people with OCD entitled Our Courage Defines Us. She has started this website because information on OCD, its prevalence, diagnosis, treatment, and most importantly -- emotional support for OCD victims � is still very hard to find. For her work with OCD she was awarded the Entrepreneur of the Year award by VESID, a NY State Agency.